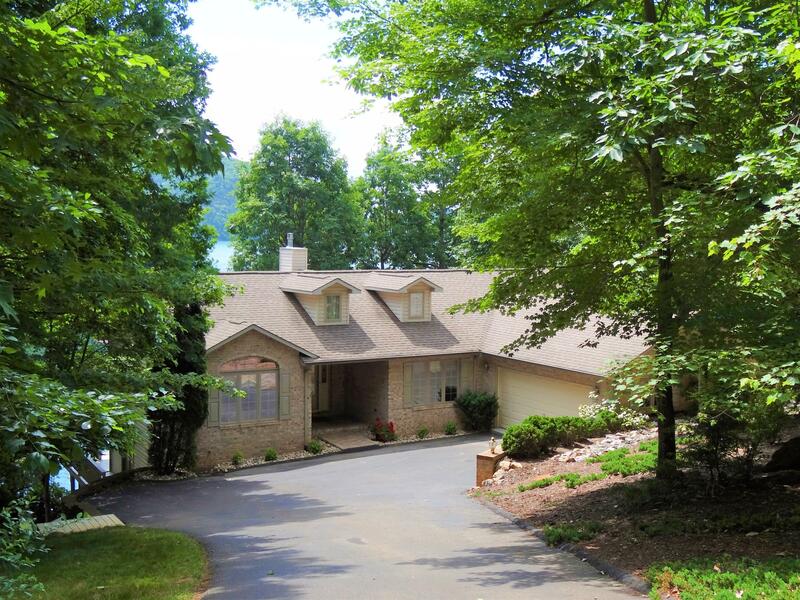 Well maintained WF home in the highly desired Mountain View Shores waterfront community with spectacular lake, mountain & SML dam views, almost 3,200 FSF, incl. 3 BRs plus a large office/den on main living level currently decorated as a guest bedroom, 3 full bathrooms, a separate dining room, and a large lower level game room and family room where two of the three BRs are also located plus generous storage space and a work room. Home also features lots of outside decking on the waterfront side of property on both the main living level and the lower level that allows for great entertaining and relaxing and easy access to a covered boat house, stationary & floating docks & storage shed. Short-term rentals allowed. Furniture & furnishings also for sale.